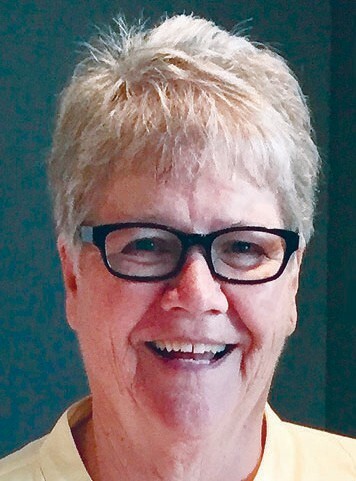 Polly Zindel Young, 72, passed away peacefully in her home on April 4, 2019 after a battle with cancer. Polly was born Aug. 17, 1946, in Henderson, Nev., to Guy Vaughn and Lenore Zindel. She was a school teacher for over 30 years at Planada Elementary in California. She was an avid sports fan and spent many evenings lying in bed, cheering on her favorite sports teams, specifically the San Francisco Giants, Brigham Young University Cougars and the Utah Jazz. As a member of the Church of Jesus Christ of Latter-day Saints, she loved her Savior, Jesus Christ, and served her fellow men as a primary teacher, Relief Society president, Cub Scout leader, and served two missions with her eternal companion, Jerl Young, at Martin’s Cove, Wyo. Her favorite calling was as a visiting teacher to other sisters in the ward. Polly is survived by her husband, Jerl; two children, Jared (Melanie) Young and Jennie ( Joshua) Hatch; six grandchildren; and two brothers. She was preceded in death by her older brother, Guy Vaughn Jr. and her parents. Polly wanted to thank everyone for their support and generosity: family, neighbors, friends, caregivers and all who knew her. She truly will be missed. Funeral Services will be at 2 p.m. on Thursday, April 11, 2019 at Mallory Chapel in Stigler, Okla., with Bro. Mike Hurst officiating. Interment will follow at Tamaha Cemetery under the direction of Mallory-Martin Funeral Home and Crematory of Stigler. Pallbearers are Andy Hatch, Anson Hatch, Aaron Hatch, Cody Petersen, Cody McKee and Coby McKee. Honorary pallbearers are Jared Young, Joshua Hatch, Kit Zindel and Robin Zindel.